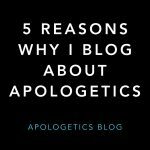 In a previous post, I gave some reasons from the Old Testament why I am not a pacifist. While I need to get to the New Testament, I’m not quite ready to leave the Old Testament. I understand that the case for nonviolence is much more complex than one of the ten commandments but I do need to address it. In the recent movie Hacksaw Ridge, the main character joins the army as a medic and refuses to hold a weapon. Part of his reasoning (at least in the movie) is the commandment not to kill. Is this an appropriate translation? We need more than just a close examination of the Hebrew word. We need to look at the Old Testament context to see what exactly is being prohibited. Is there a complete prohibition on all taking of human life? It is not difficult to see that there is not just allowance but commands to kill in the case of capital punishment and military activity. In the parts of the Old Testament where someone is executed for a capital crime or when Israel goes into battle, there is not even a hint that the people involved are breaking a commandment. So what does Exodus 20:13 ban? It seems that the ten commandments speak against what we would call murder, that is the taking of an innocent life. There are examples in the Old Testament where people take a life and are condemned for it. But never in the context of capital punishment. I’m not trying to argue in this post that we should have capital punishment. I’m actually against capital punishment. But my opposition is not from a conviction of nonviolence but rather a lack of confidence that we can avoid executing the wrong person. Arguing that the commandment is against murder rather than killing does not put the nail in pacifism. But I do believe that this needs to be said as a part of the larger case. Next time, I will tackle what many see as the heart of Christian nonviolence: the sermon on the mount.